On the dark side: The story is kind of meandering in its plot and especially in its conflict. There is no clear main antagonist for Kyra until near the end, and the limited conflicts she faces are quickly brushed aside. Things seem to progress too quickly and too easily for her. That's the big thing; the lack of clear direction and the lack of a major conflict or conflict arc made it difficult to connect with Kyra and her story. It seemed like the most interesting parts of her life were in the past. Which shouldn't be the case, especially when the author indulges in way too much special-ness toward the end. (This is not the Lego Movie; you are not the Special). I feel the story doesn't develop or give much screen time to most of the relationships. We're told about Kyra's connections to or growing admiration for people but, with a few exceptions, we don't see them play out, particularly the important friendships with her family (which I think are supposed to be a major point of inner conflict). Family/friends get pushed to the side pretty often. Even the antagonists wind up feeling two-dimensional. The pacing also hits a seventh inning lull and the "twist" with the Demon Riders...it isn't out of nowhere, but it doesn't feel as closely knit with the story as it could be. Oy! I absolutely loved this one, but I can see why you didn't enjoy it. 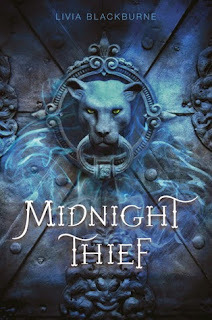 I kind of didn't like book two sooo... idk what to tell you about that :D I beta-read it last year AND I reread it as an ARC a few weeks ago and meh, didn't really work for me either times, though I did enjoy it somewhat. If that makes sense. Anyway. If you read book two? I hope you like it? Fabulous review, Kel! Your review is still got me interested :) The Goodreads reviews are such a mixed bag! Even if I do read this one, it wouldn't be for quite some time.